Austin Health @3dMedLab - Page 5 of 5 - We scan. We design. We print. We care. 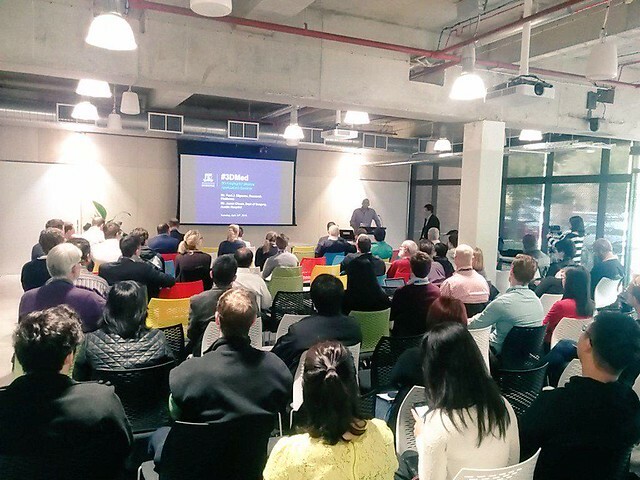 This 2015 #3dMed event was the first conference held to share the use of 3d printing technologies amongst clinicians and scientists at the University of Melbourne. David Flanders introduces the panel of experts at the 2015 #3dMed Symposium, held at Carlton Connect, The University of Melbourne. 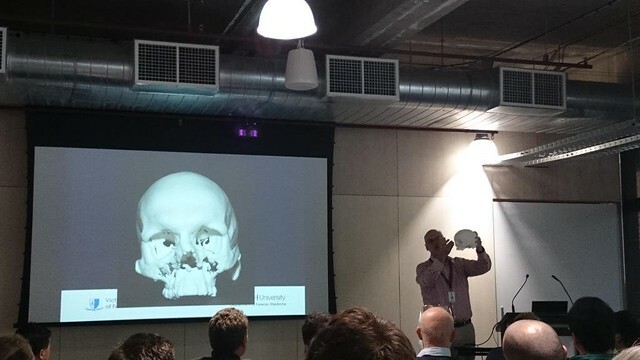 This 3d printed skull was used to explain a head injury during legal proceedings. Printed by the Victorian Institute of Forensic Medicine, the results were presented at the Austin Health and University of Melbourne 3D Printing conference in 2015. This post is reproduced from the ResBaz Blog Entry #3DMed Wrap-Up. It was only a few months ago that Mr Jason Chuen, a vascular surgeon at the Austin Hospital (and honorary senior fellow at The University of Melbourne), approached Research Platforms with an idea. That idea was to develop a community of researchers and medical practitioners which had skills in digital reification technologies such as 3D modelling, image reconstruction and 3D printing, which could better support and enhance research and teaching at The University of Melbourne’s School of Medicine, Dentistry and Health Sciences (MDHS). In order to provide the creative ‘spark’ for this emerging community, we worked towards establishing a seminar that would bring medical researchers and practitioners together to see the current ‘cutting edge’ in 3D printing and design technologies, as well as provide a platform for discussing what infrastructure, training and resources were required help the community thrive. The end result: The 3D Printing for Medical Applications Seminar (#3DMed), held at the Carlton Connect Initiative’s Lab-14 events space at the Corner of Swanston and Grattan Street. Overall, we could not have asked for a better start for #3DMed, when this fantastic venue was combined with eight fascinating presentations and over 100 passionate attendees. Talks covered a range of medical-specific, 3D printing topics, including surgical planning, implants and prosthesis, bio-printing applications, commercialisation of medical products, imaging techniques, forensic medicine and bio-visualisations. Skills and resource shortfalls in acquiring suitable 3D image data. Skill shortfalls in post-processing 3D image data. Access to high-fidelity 3D printers. Individual access to 3D printers (e.g. being able to loan a basic 3D printer for educational purposes). 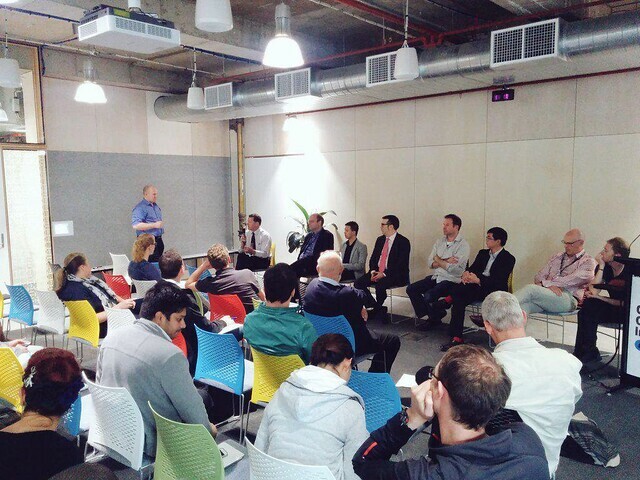 Overall, the first #3Dmed community event was a resounding success. The speakers gave our community and Research Platforms a lot to think about, with some fantastic feedback and questions being raised on the Twittersphere. This invaluable feedback will also help Research Platforms develop our Melbourne Collaborative Research Infrastructure Program (MCRIP) funding bid, which aims to secure the critical resources required to support the needs of the #3DMed research community. With both the 3D printing showcase (link soon) and the ‘Shark-tank’ innovation seminars (link soon) only months away, expect digital reification technologies to make a huge impact on research and innovation @Unimelb in 2015 and beyond!